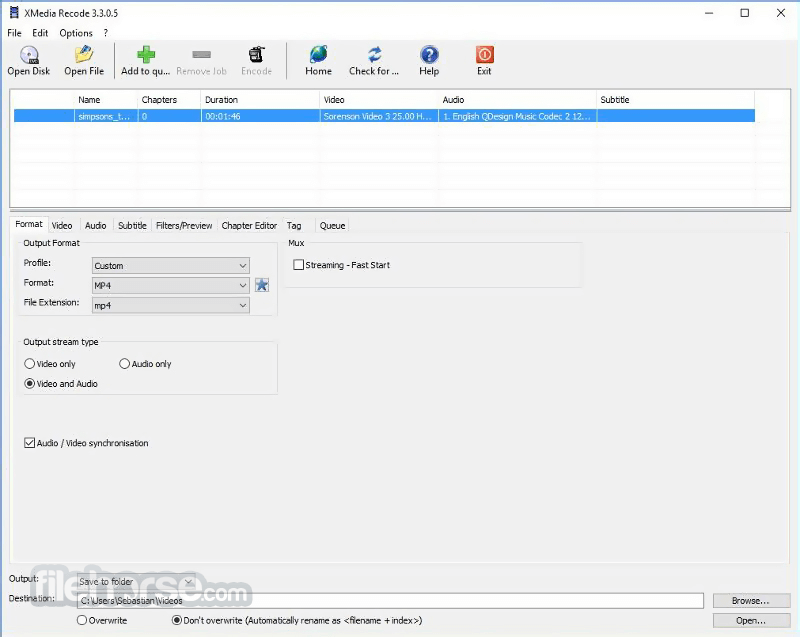 XMedia Recode is a free video and audio converter. 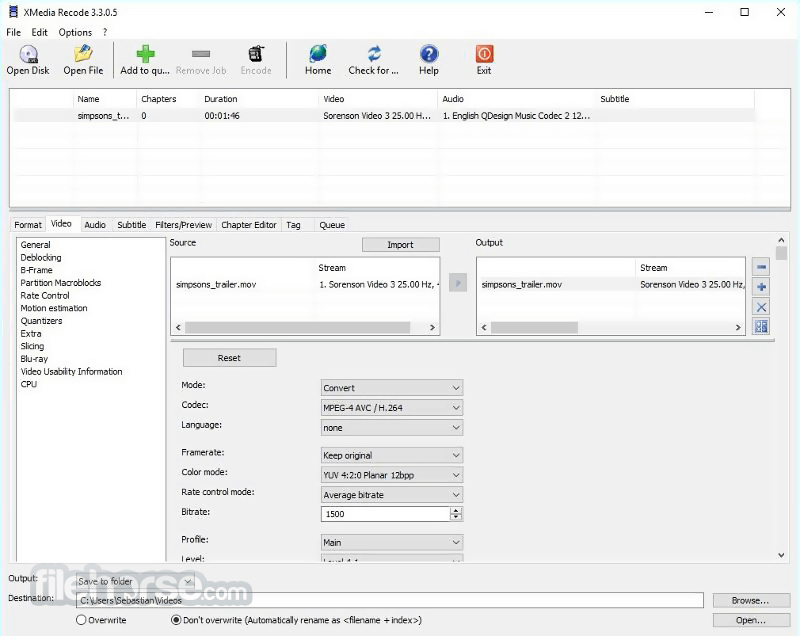 XMedia Recode supports nearly all audio and video codecs. 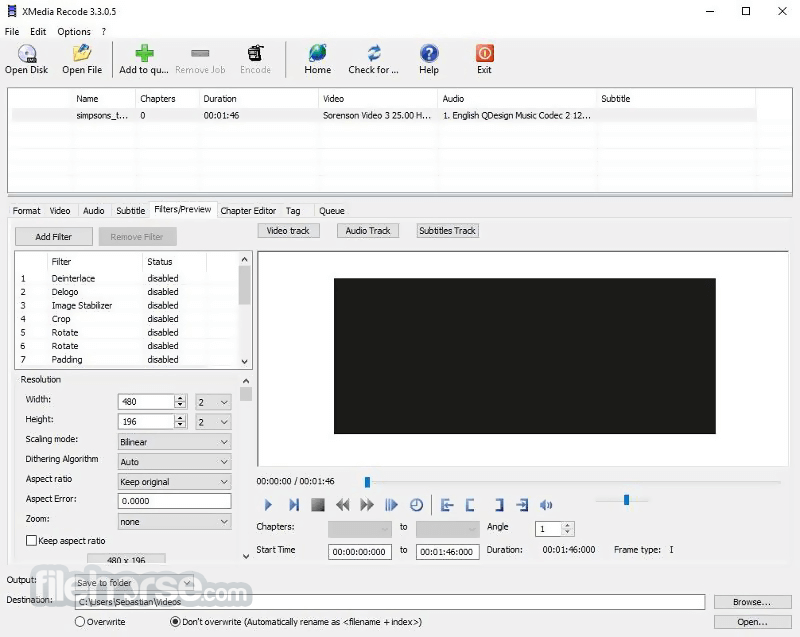 XMedia Recode is a universal media converter, which integrates most popular audio or video formats. 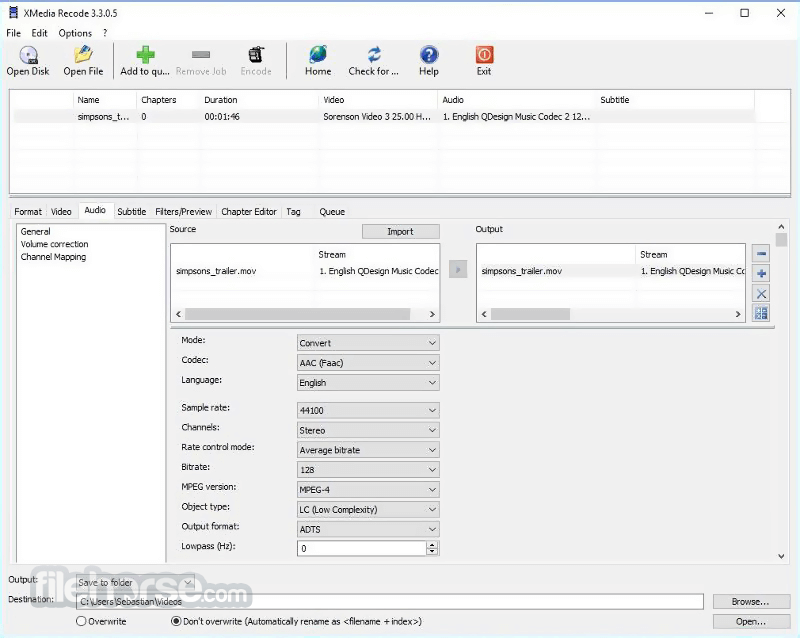 It supports conversion with formats 3GP, 3GPP, 3GPP2, AAC, AC3, AMR, ASF, AVI, AVISynth, DVD, FLAC, FLV, H.261, H.263, H.264, M4A , M1V, M2V, M4V, Matroska (MKV), MMF, MPEG-1, MPEG-2, MPEG-4, TS, TRP, MP2, MP3, MP4, MP4V, MOV, OGG, PSP, (S)VCD, SWF , VOB, WAV, WMA, and WMV. Note: Requires DirectX 9 and Nvidia GPU driver 347.09 or higher.